The challenge is to increase the page count from 40 pages indexed on Google to over 100 all from 20 blog posts. And to increase the search engine ranking for search terms related to having blinds and shutters fitted in and around their location. 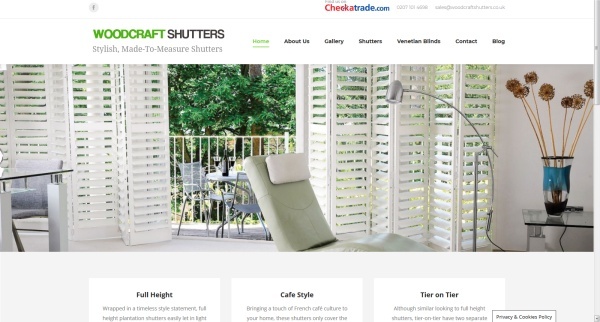 Woodcraft Shutters. Based in Loughton, they cover the whole of Essex, Hertfordshire, East Anglia and London. Previous postDomain Registrar Issues Next postSCAM EMAILS - Change your password immediately. Your account has been hacked.